In the first half hour, writer, author and commentator Jay Dyer analyzes Brzezinski’s core beliefs and activities in the pre-Carter era, and the role of the Trilateral Commission in advancing his influence over Carter and successive presidential administrations. We later replay part of an October 2016 interview with Andrew Korybko, in which he described Brzezinski’s important role in the development of ‘hybrid warfare’ in the modern era. We get the perspective of John Helmer, who was a White House staffer in the Carter era. Finally, University of San Francisco Professor and scholar Filip Kovacevic examines the impacts of Brzezinski’s strategies in the post 9/11 era, his later rethink of the idea of “US Primacy,” and the prospects of neoconservative decision-makers in Washington following his lead. John Helmer is the longest continuously serving foreign correspondent based in Moscow, and directs his own independent bureau there. He has been a professor of political science, sociology and journalism, and has advised government heads in Greece, the United States and Asia. He served as a staffer in President Jimmy Carter’s White House from 1977 to 1981. 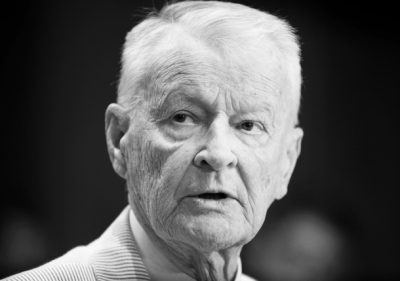 Helmer recently composed two articles on Brzezinski: Zbigniew Brzezinski, The Svengali of Jimmy Carter’s Presidency is Dead, But the Evil Lives on, and The President’s Inferiority Complex, His Advisor’s Russia-Hating Obsession, and the Putsch Plotter with the Itchy Trigger Finger. Both can be found on Helmer’s website, johnhelmer.net. Filip Kovacevic is a Montenegrin geopolitical author, a university professor, and chairman of the Movement for Neutrality of Montenegro. He has authored seven books and numerous articles and teaches at the University of San Francisco. Well versed on Zbigniew Brzezinski’s published works, Professor Kovacevic also serves as senior analyst for Russia and the Balkans for Newsbud.com.